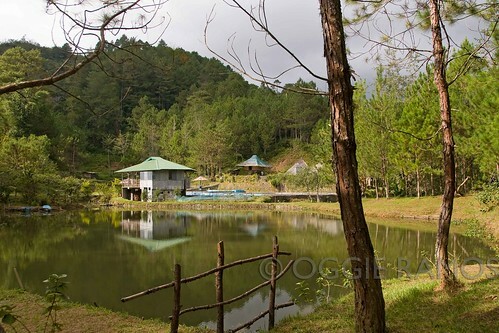 Banaue may seem to be far removed from the lowlands but it isn't too far from the clutches of development. 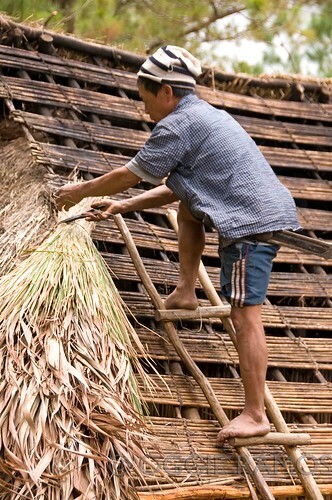 While there's no mall (thankfully), education, technology and religion have profoundly changed the Ifugao's way of life. For one, a lot of people we met were mostly Christians, even the ones in Batad. We asked if they still practice their planting rituals and we were taken aback to find out that most don't anymore. While this is a boon for Christianity, it also means that the Ifugao traditions are being lost to modernity. 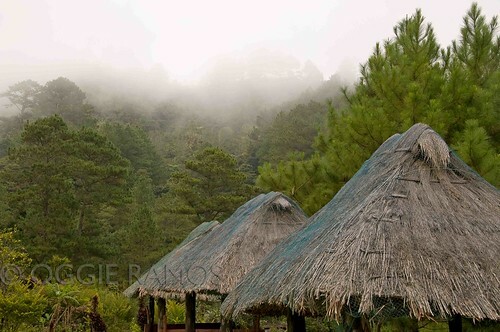 It's a good thing to find places like the Banaue Ethnic Village and Pine Forest Resort where history is given a future and the past can repeat itself. Tucked six kilometers from the Banaue town proper, it's accessible by jeep or tricycle but it feels desolate (in a nice way) and detached from the town. Sitting on 12 hectares of land, there are panoramic views of the Polis range anywhere you look, with a river flanking it. Apart from conference halls, cottages and picnic grounds, there's also a huge camping ground (bring your own tent) which is a good way to experience the highlands without hiking extensively. And for those so inclined to recreate the feeling of living in an authentic Ifugao abode, there are real Ifugao huts for accommodations. The fishing and boating area is a nice way to while the afternoon away in such a postcard-pretty setting while those impervious to the cold can take a dip (brrr) in the swimming pools fed by a mountain spring. But the real highlight of the place is the Ethnic Village where visitors can immerse themselves in lectures on Ifugao culture and tradition as well as witness ritual performances (by appointment). 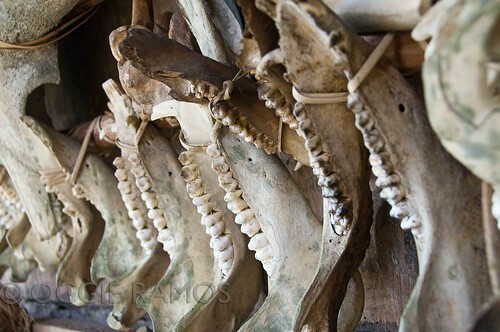 Part of the resort is devoted to showing the evolution of Ifugao native houses complete with displays of woodcarvings, rice milling implements, animal skulls and bones. In fact, there's so much to see, explore and discover that a daytrip wouldn't suffice. We'll be back, for sure. 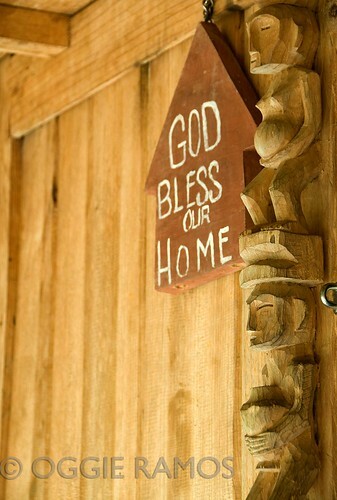 Info: Banaue Ethnic Village and Pine Forest Resort is located at Aparinga-o, Viewpoint, Banaue, Ifugao, Tel. (074) 3864082. There are tricycles for hire going to the resort (P300, round-trip, off-peak season) but make sure to arrange for a return trip as there are few transport vehicles (jeepneys) plying the route going back to the town proper. I like the idea of pitching a tent there surrounded by pine trees (though not of those gaping animal jaws that remind me of gargoyles he he he! ).